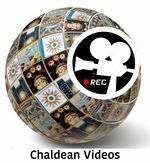 Chaldean people videos of our experiences with the world and with our native land of Mesopotamia Beth Nahrian. We invite you to join us with our pleasure and sadness. "Thank you and God bless you"
This page was last modified on 21 August 2015, at 12:36.